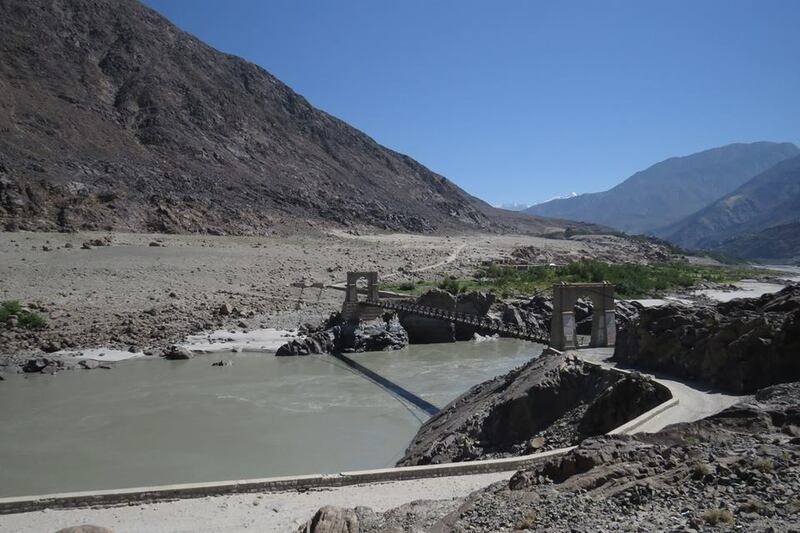 The 804.47 kms (500miles) black-top Karakoram Highway, great marvel modern engineering, links the northern region of Pakistan with Chinese Province Xinjiang. The highway follows the ancient Silk Route that was used by Chinese traders during the rule of Han Dynasty 2,000 years ago. There has always been a steady flow of visitors, scholars and traders through this route. 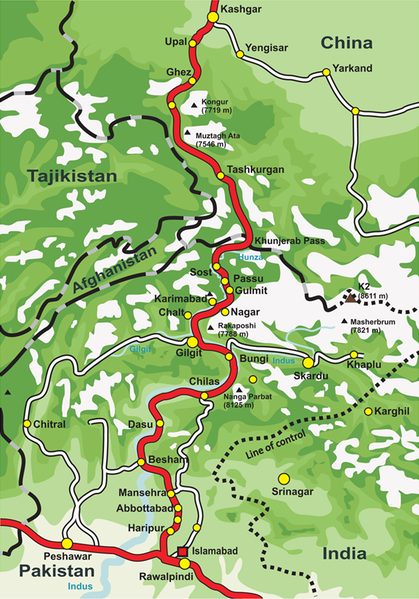 Famous scholars like FaHian, Huen Tsang and travellars like Marcopolo also used this route. A brisk trade of tea, silk and porcelain from China and Gold, Ivory, jewels and spices from the India-Pakistan subcontinent flourished almost 2,000 years ago. Where the ancient trade caravans took months to cross the mountains, the same distance can now be covered in hours over an all-weather metalled road.